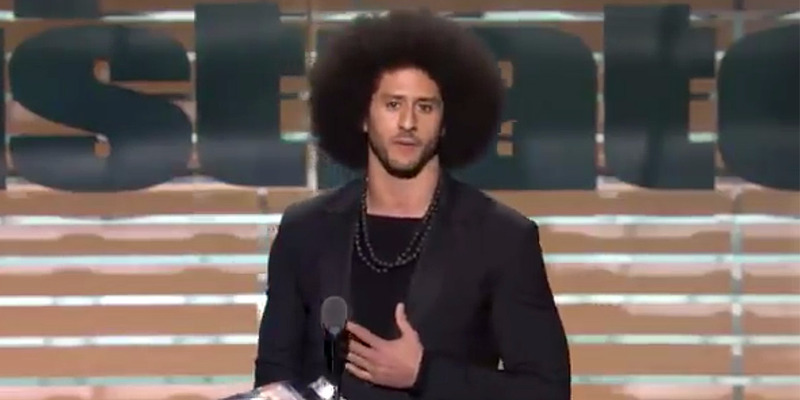 Colin Kaepernick accepted Sports Illustrated’s Muhammad Ali Legacy Award on Tuesday night. Kaepernick thanked “the people” and said he would continue his off-field work, regardless of whether he returns to the NFL. 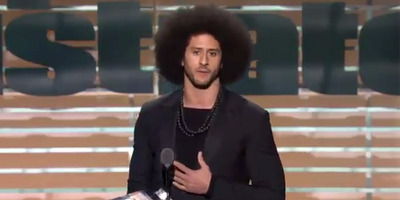 Colin Kaepernick on Tuesday accepted Sports Illustrated’s Muhammad Ali Legacy Award in Brooklyn, New York. “With our without the NFL’s platform, I will continue to work for the people because my platform is the people,” Kaepernick said.